UNITED NATIONS (Yonhap) -- The U.N. committee on sanctioning North Korea plans to discuss as early as next month whether to impose further penalties against North Korea for carrying out its third nuclear test in February, sources with direct knowledge of the committee said on June 19. During a meeting, the North Korean sanctions committee chaired by Luxembourg's Ambassador Sylvie Lucas put forth reports on its activities with regard to its latest sanctions and recommended blacklisting four more North Korean institutions and eight individuals, according to the sources. The four candidate entities for the blacklist are the North's newly created Ministry of Atomic Energy Industry, the Munitions Industry Department of the Central Committee of the Workers' Party of (North) Korea, the State Space Development Bureau, and Hesong Trading Corp. The individuals include the atomic energy industry minister, four senior officials at the Munitions Industry Department, two officials of the space development bureau and an official of the trading company, the sources said. The committee also aims to blacklist three non-Koreans -- Aleksandr Viktorovich Zykov from Kazakhstan, and two citizens of Ukraine, Iurii Lunov and Igor Karev-Popov -- for being involved in North Korea-related arms deals, they added. Part of the recommendations echo those from the report drawn by its monitoring group in May, which called for sanctioning a total of 15 North Korean entities and individuals, along with the three from Eastern Europe. "Member states are scheduled to begin discussions around July on whether to put more North Korean institutions and individuals on the sanctioning list," a source familiar with the issue said, adding it will be "up to the council whether it follows the recommendations." "The committee encouraged not only 15 security council members but all U.N. member states to actively and voluntarily implement those measures against North Korea to make them more effective," another source said. In protest of the fresh international sanctions and the annual South Korea-U.S. military exercises, Pyongyang ratcheted up tensions with near-daily war threats and by withdrawing all of its workers from the inter-Korean industrial park in its border city of Kaesong. SEOUL (Yonhap) -- South Korea's defense chief on June 20 said there is an urgent need to counter North Korea's cyber espionage capabilities that pose national security threats for the country. In a conference held in Seoul to touch on ways to protect sensitive military information, Kim Kwan-jin pointed out that Pyongyang operates a dedicated cyber team under the Reconnaissance General Bureau of the Korean People's Army. He said that this organization is made up of roughly 3,000 highly trained personnel. "Cyber warfare is often referred to as the fifth battlefield and preparing to counter terrorism in this area is vital," the policymaker said. He claimed that the so-called distributed denial-of-service, or DDoS, attack that occurred in 2009, the hacking of the National Agricultural Cooperative Federation in the following year and the cyber terrorism that paralyzed financial firms earlier this year, highlight the seriousness of the on-line threat. Seoul has argued that the attacks were carried out by the North, although the communist country has denied any participation in the incidents. The official said that while South Korea's military operates a separate cyber network that is not linked to the World Wide Web, making it less vulnerable for hacking, there is a need to enhance its control over mobile devices. He said that to enhance mobile device security, Seoul is in the process of creating a new mobile defense management (MDM) system that can curtail access of confidential data from being checked by cell phones and tablet PCs. At present the defense ministry bars employees from using various services on locally made mobile devices. Related to the alarm bells raised, Gen. Jang Kyung-wook, the head of the Defense Security Command, predicted that no country can be safe from on-line attacks and speculated that if World War Three broke out it would involve cyber battles. He said that the North has one of the best trained hackers in the world and it has used these assets to conduct attacks that have become more high-tech with the passage of time. Without giving details, the two-star general said Pyongyang has engaged in cyber psychological warfare to fuel internal discord in the South and tried to steal military secrets or disrupt the country's military data systems. Also weighing in on the matter, private experts such as Lee Ki-joo, the president of the Korea Internet Security Agency, said Seoul needs to consider raising at least 5,000 "white hackers" to protect the country from outside cyber attacks that can effectively paralyze the country. BEIJING (Yonhap) -- China on June 20 called for an early resumption of the long-stalled six-party talks aimed at denuclearizing North Korea, one day after China expressed its willingness to help the North open dialogue with its neighbors. "The pressing issue is to improve mutual trust and relations through talks and contacts and to resolve the problem through negotiations," China's foreign ministry spokesman, Hua Chunying, said in a press conference, referring to the nuclear row with the North. The multilateral dialogue is still an effective system for the six nations' efforts to denuclearize the North, and the countries should capitalize on the current reconciliatory mode in order to revive the talks, Hua said, calling on the countries to join hands. 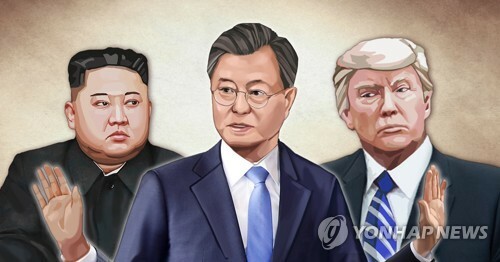 The current favorable mood on the Korean Peninsula constitutes a very rare moment, and the countries should take it as a chance to resume the talks, the spokesman said. After what was billed as "strategic talks" with his North Korean counterpart, Kim Kye-gwan, on June 19, China's Vice Foreign Minister Zhang Yesui expressed Beijing's support for Pyongyang's desire to resolve its nuclear issue through dialogue. 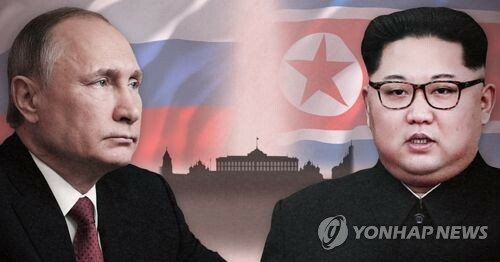 The six-party forum that involves the two Koreas, China, the United States, Japan and Russia has been suspended since 2008 when North Korea walked out in protest of the United Nations' condemnation of its banned rocket launch. The North's move to rejoin the talks is a turnaround from its previous long-term hostility toward South Korea and the U.S.
Before making a surprise offer of talks to the South earlier this month, North Korea issued months of warlike threats. After its efforts to hold high-level talks with South Korea fell through, the North issued another surprise offer to talk with the U.S. It's unclear whether China's latest push to help North Korea revive the six-party talks would succeed, because the U.S. has so far shown little interest in it. 9 U.N. Members Submitted Implementation Report for Sanction against N.K. SEOUL (Yonhap) -- Only nine countries have submitted the required reports on their implementation of the latest United Nations (U.N.) sanction against North Korea's nuclear activities, according to the international organization's website. 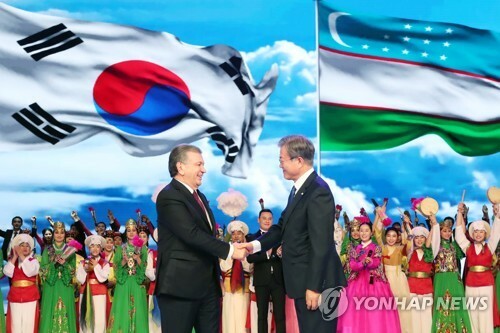 The website showed, as of early June 21, only nine countries have handed in the reports on their implementation of the U.N. resolution 2094, which the Security Council adopted on March 7 in response to the North's banned nuclear bomb test on Feb. 12. The countries are South Korea, Japan, Russia, Singapore, Brazil, Mexico, Belgium, Greece and Qatar. Member countries are required to submit reports on their implementation within 90 days of a U.N. resolution being adopted. The deadline for submitting implementation reports for the latest punitive resolution on North Korea was June 5. Russia submitted its report after the deadline. Concerning the two previous sanction resolutions that targeted North Korea, U.N. member countries took less time handing over their reports. About 30 countries submitted the reports within deadlines for resolutions 1718 and 1874, which the U.N. Security Council adopted in 2006 and 2009 respectively, according to a report of Washington-based Voice of America on June 21. The latest U.N. resolution is designed to ban North Korea's international trading of nuclear and missile components as well as the country's nuke-related financial transactions with the outside world. SEOUL (Yonhap) -- The rate of malnutrition among North Korean children still remains at a serious level, although it has improved from the level seen in the late 1990s, a local health expert said on June 21. The rate of North Korean infants and toddlers under age 5 with chronic malnutrition disorder came to 27.9 percent as of late last year, falling sharply from 62.3 percent recorded in 1998, according to reports last year by the World Health Organization and the World Food Programme, said Lee Soo-kyung, a food and nutrition professor at Inha University. The rate of North Korean children with acute nutrition disorder also decreased to 4 percent last year from 15.6 percent in 1998 thanks mainly to assistance programs by aid organizations, the professor said. Lee said the current figures indicate the nutrition conditions for North Korean children remain a serious problem. "Recent nutrition assistance programs (by international organizations) helped improve children's nutrition conditions, but they are feared to worsen again in the future as (the organizations) are scaling back their programs due to budget issues," Lee said, adding that North Korea needs more assistance. Another researcher said the North is expected to suffer another food shortage this year despite the country's improving grain production. The socialist country is expected to see its grain production increase by 10 percent on-year to a total of 4.92 million tons this year, said Kim Young-hoon, a researcher at the Korea Rural Economic Institute, adding that the country may need a total of 5.42 million tons of grain to feed its people this year. WASHINGTON (Yonhap) -- U.S. President Barack Obama said on June 21 that he will extend economic sanctions on North Korea for another year, citing "unusual and extraordinary threat" to national security. In a Notice to Congress, Obama said he will continue the "national emergency" declared with respect to North Korea, stressing the continued "existence and risk of proliferation of weapons-usable fissile material on the Korean Peninsula." Under the International Emergency Economic Powers Act (IEEPA), the U.S. president annually updates the list of countries subject to economic sanctions based on security risks posed to the U.S. and its allies. In June 2008, North Korea was removed from the list of state sponsors of terrorism by then U.S. President George W. Bush but was kept in check with sanctions imposed under the IEEPA given its possession of fissile material that can produce nuclear weapons. These sanctions were further expanded in 2010 and 2011 to include import restrictions under the Arms Export Control Act and the United Nations Security Council Resolutions. SEOUL (Yonhap) -- Historic sites in North Korea's ancient city of Kaesong were added to the world heritage list of UNESCO on June 23, official sources said. The decision was made during the 37th session of UNESCO's World Heritage Committee (WHC) in Phnom Penh, Cambodia, earlier in the day, sources following the event said. The session is set to continue until June 27. The decision has been widely expected as the sites were recommended last month by the Paris-based International Council on Monuments and Sites (ICOMOS), an advisory panel conducting on-site surveys of nominations for UNESCO. Kaesong was the capital of the Goryeo Dynasty that ruled the Korean Peninsula from 918 until 1392 when it was replaced by the Joseon Dynasty. It now sits just outside the inter-Korean border that separates the two Koreas roughly along the 38th parallel. Pyongyang requested Kaesong's historic monuments be registered as a global heritage in mid-2012. In 2004, North Korea successfully added tombs from the Koguryo Kingdom (37 B.C.- A.D. 668) to the world heritage list. The powerful kingdom once ruled most of what is now North Korea and northeastern China. The group of historic monuments and sites in Kaesong is the second world heritage listing for the North and the 12th on the Korean Peninsula. The monuments and sites are located within the built-up area of Kaesong and extends into the foothills of the mountains to the west of the town. They comprise 12 separate property components, including five separate sections of the Kaesong city walls. The other seven are: the Manwoldae Palace archaeological site and remains of the Kaesong Chomsongdae, an astronomical and meteorological observatory; the Kaesong Namdaemun gate, the main southern city gate; Goryeo Songgyungwan, a former high state education institute where Goryeo national officials were educated; Sungyang Sowon, a Confucian private school; Sonjuk Bridge and Phyochung Monuments, the latter being two commemorative steles; the Mausoleum of King Wang Geon, the founder of the Goryeo Dynasty, with seven associated tomb clusters and the Myongrung tomb cluster; and the Mausoleum of King Gongmin, the 318th king of Goryeo. The monuments and sites "exhibit the synthesis of cultural, spiritual and political values of pre-existing states unified under the Goryeo and the interchange of such values with other neighboring states," the ICOMOS report said. The report also called them "an outstanding example of a capital city in transition from Buddhism to neo-Confucianism as a guiding philosophy for government." UNITED NATIONS (Yonhap) -- China appears to have recently approved a plan by the U.N. sanctions committee on North Korea to increase the number of the committee's panel of experts to eight people from seven, a source said on June 23. The Chinese move apparently reflects Beijing's strained ties with Pyongyang, particularly after North Korea's third nuclear test in February. China, North Korea's key ally and biggest trading partner, has vowed to fully implement the latest U.N. sanctions to punish the North for conducting the February nuclear test. China has also agreed to disclose a report by the U.N. sanctions-monitoring group on an additional list of North Korean individuals and entities, which will be subject to the latest sanctions against North Korea, the source said on the condition of anonymity. 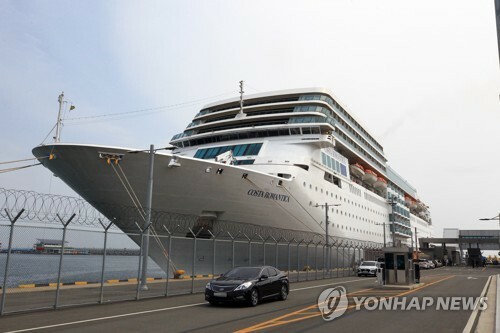 The committee's panel of experts recently held a meeting to discuss whether the additional list could be disclosed to its 15 member states and, with the Chinese approval, the list is expected to be disclosed as early as this week, according to the source. The source described the Chinese nod to the two matters as "a very meaningful change" toward implementing U.N. sanctions against North Korea. "If China opposes, it would be impossible for the U.N. sanctions committee to increase the number of experts. Against our expectations, China has approved the increase," the source said. Soon, the U.N. committee will name an expert from an African country to its panel, the source said. In the first significant step taken by China to curb its wayward ally North Korea since the February nuclear test, the Bank of China announced early May that it closed the account of North Korea's main foreign exchange bank. After months of high tensions, triggered by the February nuclear test and bellicose threats against South Korea and the U.S., North Korea has appeared to shift to dialogue in recent weeks. South Korea and the U.S. have stressed that North Korea must comply with U.N. Security Council resolutions and abide by international obligations before any resumption of meaningful talks can take place. SEOUL (Yonhap) -- North Korea's rice production is likely to decrease 5.6 percent this year from a year earlier, a United Nations food organization said on June 25. The North is expected to produce 1.7 million tons of rice this year, compared with 1.8 million tons last year, according to the Food Outlook report released by the Food and Agriculture Organization of the United Nations (FAO). The average annual rice production for North Korea for 2009-2011 was 1.6 million tons, according to the report. With the North expected to import 300,000 million tons of rice this year, the country will secure a total of 2 million tons of the staple crop in 2013, the report said. Last year, the country secured 2.1 million tons of rice. The country may have a rice stockpile of 100,000 tons by the end of 2013, the lowest level of the 18 Asian nations surveyed in the report. 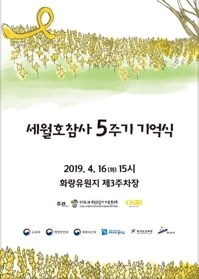 South Korea, meanwhile, is forecast to produce 4.2 million tons of rice this year, 5 percent more than what it produced a year earlier, while it is expected to hold a rice stockpile of 1.7 million tons at the end of this year, the report speculated. The North may see its pork production grow by 4.3 percent on-year to 120,000 tons in 2013, adding that the country is expected to import 2,000 tons of pork, the same as a year earlier. FAO economist Kisan Gunjal has said on the Washington-based Radio Free Asia that the North still remains a country with a food shortage and it may need at least 500,000 tons of additional grain to feed its citizens. SEOUL (Yonhap) -- North Korea has started new tunneling work at its nuclear test site, a U.S. think tank said on June 26, citing recent satellite imagery. According to "38 North," an analysis program of the U.S.-Korea Institute at Johns Hopkins University in Maryland, work is being carried out at the west portal area of the Punggye-ri test site in the remote northeastern part of the socialist country. Punggye-ri was used by Pyongyang as the site of all three of its nuclear tests, with the latest taking place on Feb. 12. 38 North said the activities probably started in late April and gathered momentum in the following weeks. The exact purpose of the work cannot be determined at present, but the U.S. think tank speculates it may be a move to construct another tunnel, or part of an effort to repair and clear debris from existing tunnel systems that may have been damaged by past nuclear tests, it said. 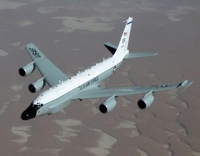 "These activities do not appear to be part of preparation for a nuclear test in the near-term. 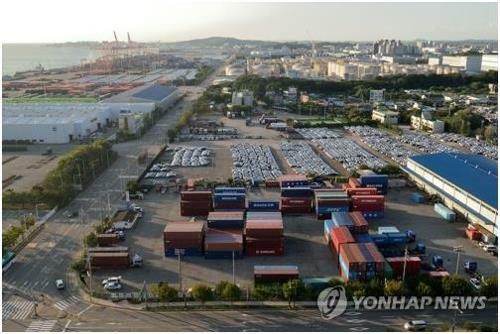 Rather, they seem to be long-term projects," the think tank said. It pointed out that digging a fresh tunnel for use in a nuclear test can take years. Echoing this view, an official at Seoul's unification ministry, who did not wish to be identified, said activities at the nuclear test site are nothing new. 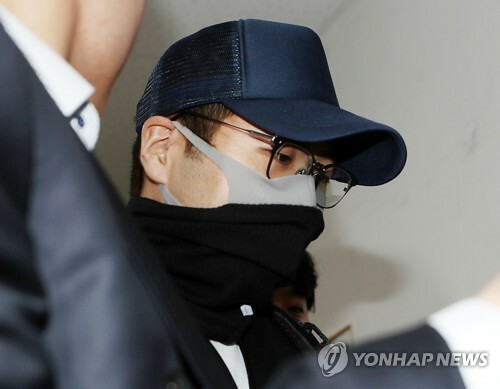 "There has always been some movement at the site and all information gathered by Seoul show no signs that something imminent is about to happen," he said. 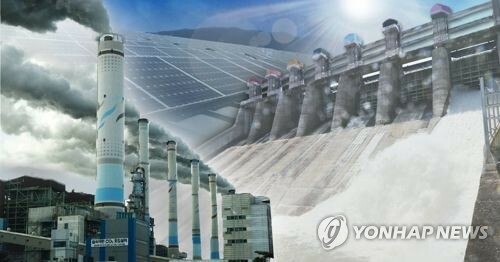 The official pointed out that Punggye-ri is under close observation and that besides actual work at the site, the government is keeping tabs on various other signs that could indicate a major development taking place. 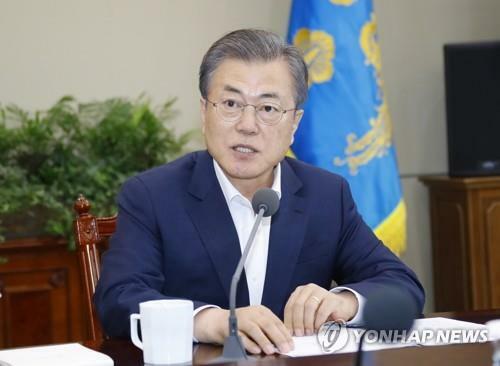 South Korea's defense ministry also confirmed earlier in the day that it was aware of activities on the west portal, yet made clear there are no real signs that the North is preparing to conduct another nuclear test. SEOUL (Yonhap) -- Public appearances by North Korean leader Kim Jong-un increased 17 percent on-year in the first half with the majority of his visits being made to military units and economic facilities, a report by South Korea's unification ministry showed on June 26. The report shows Kim made 95 public appearances in the six month period, up from 81 in the first half of 2012. The number is up 36 percent from 70 tallied for the second half of last year. This translates into an average 15.8 appearances per month, with the number peaking at 23 in May. Of the appearances made, 31 percent, or 29 visits, involved trips to military units or meetings with soldiers, followed by 29 percent, or 28 visits, to economic facilities. Taking part in social and cultural events made up 18 percent of the total with 14 percent being appearances at political gatherings like party events. 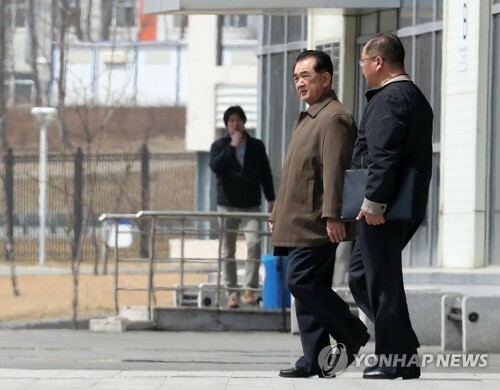 The ministry in charge of coordinating inter-Korean policies said while half of all visits made in the first quarter involved trips to military installations where the leader sometimes took charge of drills, such trips plunged to 15 percent in the April-June period. In comparison, Kim's appearances at economic facilities and events jumped from just 10 percent in the first three months of the year to 47 percent in the second quarter. "Many visits to economic facilities were actually run by the military, so it is hard to make a clear distinction, yet there is nevertheless a shift from the first and second quarters," a ministry official said. The emphasis on the military may have been due to the North's saber rattling tactics coming into this year and its third nuclear test on Feb. 12. Besides ratcheting up military tension, Kim has been calling for economic growth particularly in the light industry and agricultural areas. The latest analysis also showed a shift in the people making up Kim's entourage. 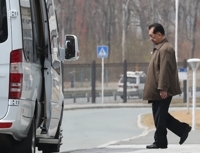 For the whole of 2012, Jang Song-thaek, the vice chairman of the National Defense Commission and Kim's uncle, was seen with Kim on 106 occasions, the most among those traveling with Kim, but this number plunged to 25 in the first half of 2013. Jang's place at the top was taken over by Choe Ryong-hae, the director of the military General Political Bureau, who accompanied Kim on 72 trips and inspections. Last year Choe was seen with the leader on 85 occasions, placing him second after Jang. 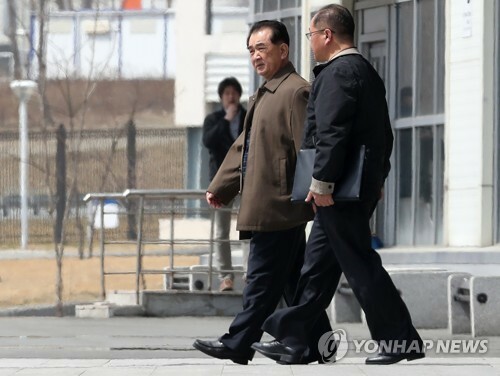 Related to the change, the ministry said there are no signs that Jang has fallen out of favor and that Choe's rise may be mainly due to more visits by Kim to military units. Choe who was in China as a special envoy late last month is the most influential official in the North's military.